David Emerson: Why'd you come back? 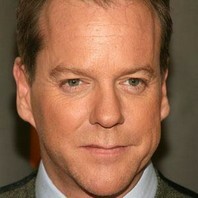 Jack Bauer: Wanted to know what it was like to walk into a propeller. David Emerson: [unamused] That's funny. Athreya: The interval between our births is 3 minutes which is 180 seconds.See, That 180 seconds have turned our characters different by 180 degrees. Athreya: I'm a brilliant villain. Happy Birthday. Mani: I am basically a watch mechanic. Alan Milliken: [to Sherry, who is snooping up on something he has covered up] You come into my house? After everything I've done for your family? I've made your children's father the President of the United States! Sherry Palmer: Wait a minute, whatever you did to help David was *not* for the benefit of my children. Let's get that straight. You're just a small man, Alan, who lords his money over his friends because that's all you have, that's all you are! Why do you think your wife had to go out and find another man? Alan Milliken: Don't you *talk* to me like this! Sherry Palmer: That's all Julia wants from you. And I'm supposed to be afraid of you? You think I'm scared of you? You're just a little boy, Alan! A pathetic, scrawny, sickly little boy! Alan Milliken: [gasping] Julia, my pills. My pills! Sherry Palmer: [Julia grabs the pills, going to Alan as Sherry grabs her arm] No, don't! Julia Milliken: What are you doing? Sherry Palmer: This is your way out! Alan Milliken: [shakes, gasping] Julia! Julia! Julia! Julia! Julia! Chapelle: I'd like nothing more than to hang you as a traitor and watch you jerk until you die. Jack Bauer: Tell me where the bomb is or I will kill your son. Lynn McGill: We met at that memory management lecture? Chloe: If you say so. President Palmer: [asking about Alan Milliken's death] What happened, Sherry? Sherry Palmer: to speak to Julia. Alan interrupted us... there was an argument... and... he had a heart attack.